When the line isn't in tunnel or on a viaduct, it can usually be found clinging to a ledge cut into the side of a steep rocky hillside. The vegetation tends to be fairly lush and redundant telegraph poles also make it difficult to find a clear spot for a photo. 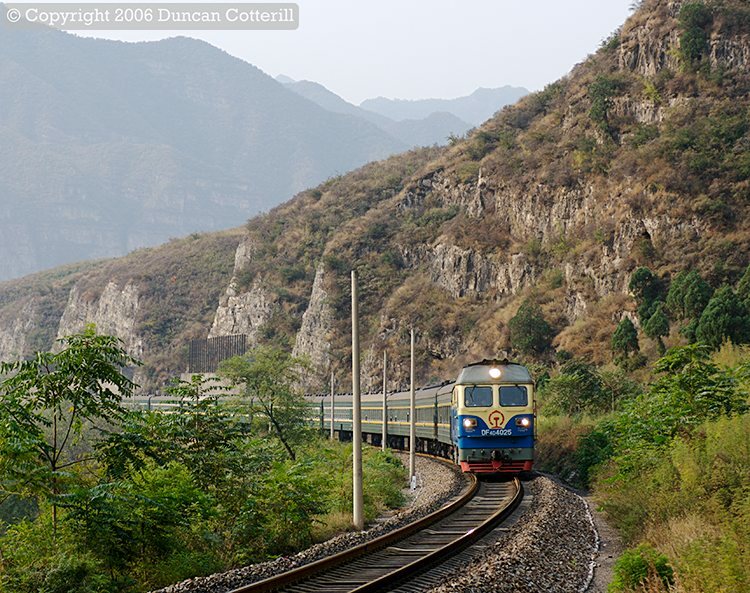 DF4D 4025 was photographed in a typically awkward spot east of Gougezhuang while working train 7198, the morning Laiyuan to Beijing stopper on 30 September 2006.